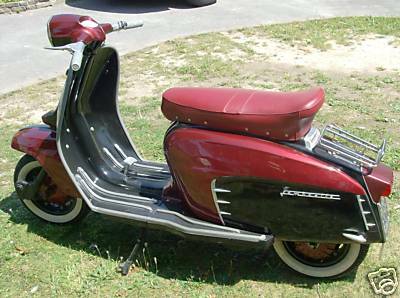 The story of this legendary scooter began in 1922, when Ferdinando Innocenti moved to Rome from his native Pescia for the purpose of building a factory. 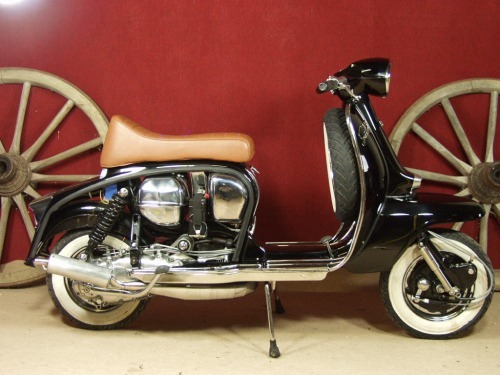 The product of this enterprising industrialist was steel tubing, and such ingenuity was involved that Innocenti's wares became renowned throughout Europe. 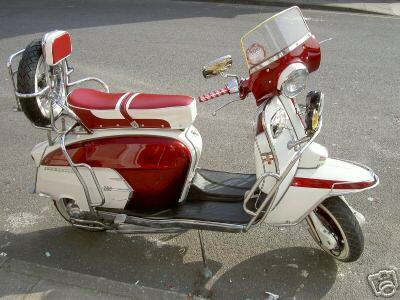 In 1931, Ferdinando moved to Milan, which had become the industrial centre of Italy, and a new and much larger factory was built. Mr. Innocenti developed a seamless steel tube for industry, and 6000 people were employed in this plant. 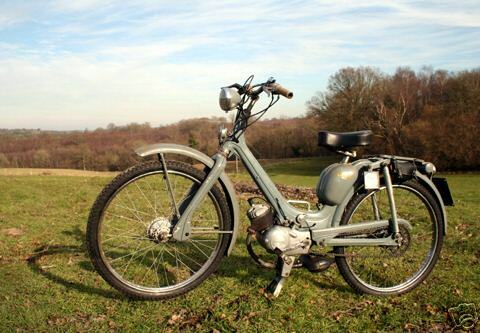 Then came World War II and the populace were left with little means of transportation. 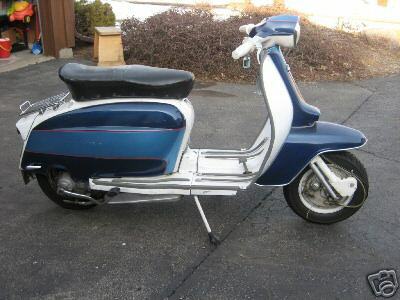 Like Mr. Piaggio, he reasoned that the answer to the transportation problem, was the motorscooter - a vehicle that would feature a low production cost, be inexpensive to operate, and would offer better weather protection than a motorcycle. 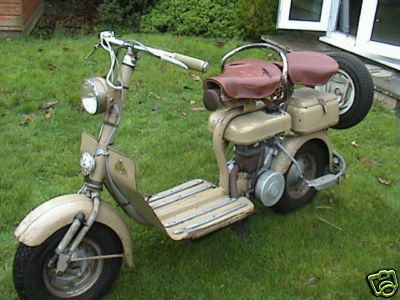 The production of motorscooters began in 1947, after one year had been spent in developing and testing the prototype model. 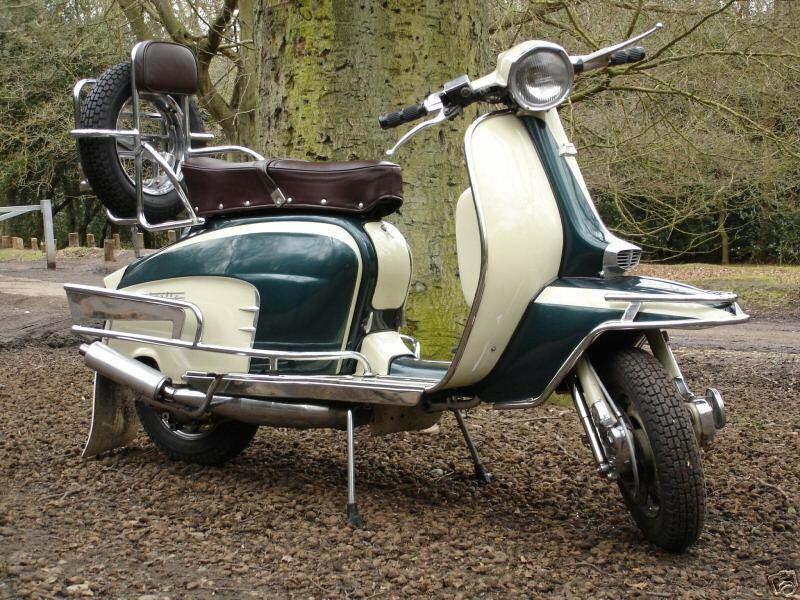 As well as the obvious Italy, Lambretta's have been made around the world, from their birth place in Italy to other countries such as Spain, India, Argentina, Brazil, Chile and more. 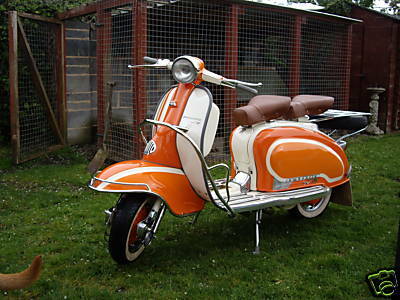 Although some producers did market the Lambretta under differing names, such as the Serveta from Spain, the Siambretta from South America, they all share the family design that came originally from Italy. 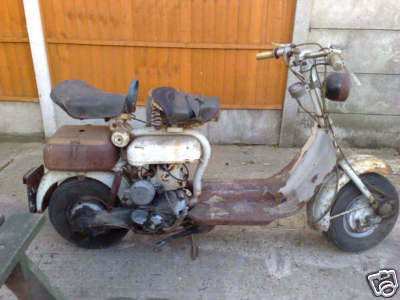 Innocenti's demise came at a time when sales of scooters were slowing down due to small cars entering the market at affordable prices. 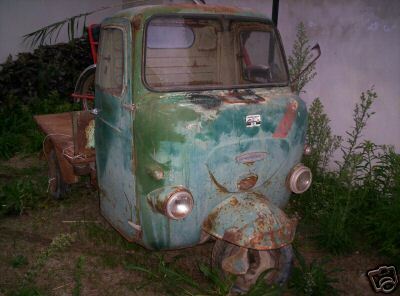 BMC struck a deal with Innocenti for them to produce cars under license from BMC. 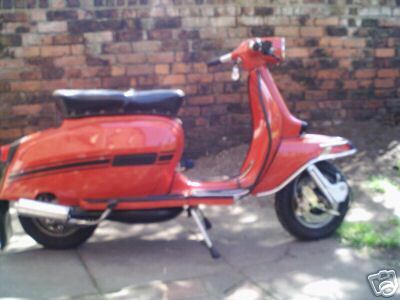 Within this contract was a clause should Innocenti ever decided to sell, BMC had first refusal. 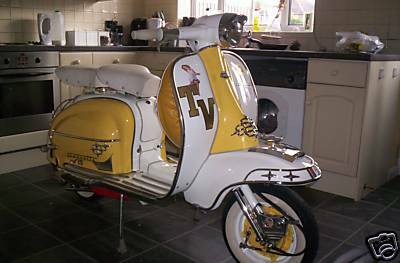 The inevitable happened, Innocenti was sold to BMC, who quickly saw the Lambretta products as a gimmick. 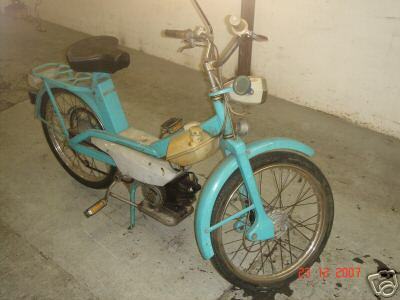 Long industrial strikes ensued, along with poor scooter sales eventually lead to the closure of the Innocenti factory in 1972. 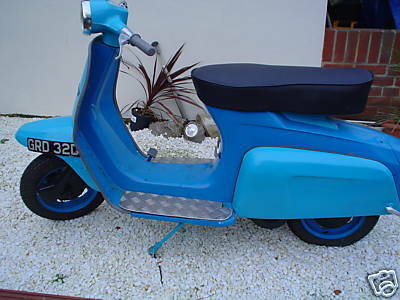 The factory was sold to the Indian government, and Scooters India Ltd began production using the Innocenti tooling around two years later. 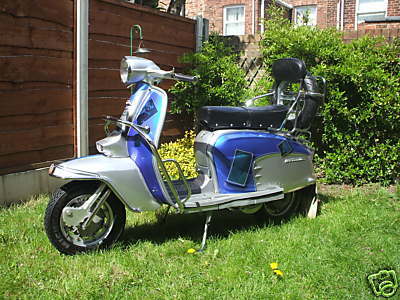 S.I.L stopped producing two wheeled scooters in 1998, and today survive on producing their own version of the Lambro three wheeler. 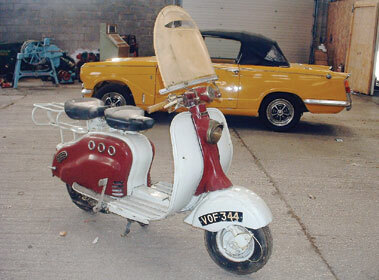 Lambretta 48 1955-1961 Innocenti Lambretta Moped 48. 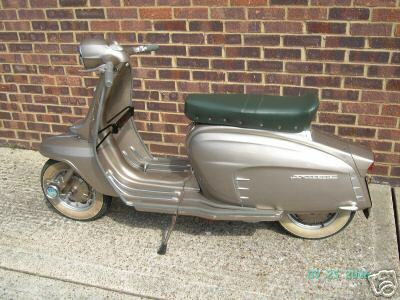 1952 Lambretta 125D Italian import. 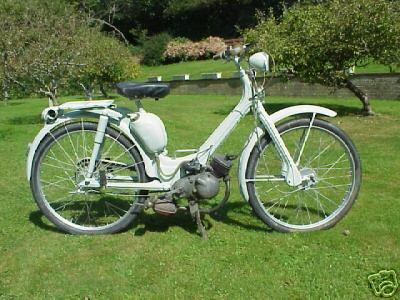 1955 Lambretta Model D 150cc. 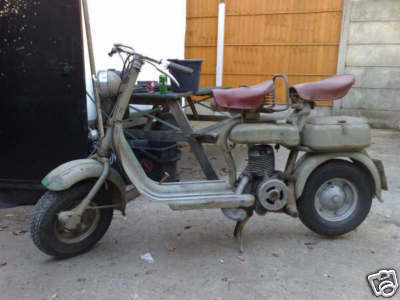 Power was provided by a two stroke, single cylinder engine initially displacing 125cc although a 150cc variant was quickly added. 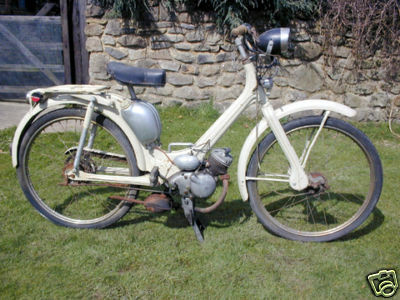 The Model A and B were only offered as "open" models with no enclosure of the "oily bits" and only minimal leg-shields/foot-boards, however the introduction of the revised model C in 1950 saw the of the option of an enclosed variant typed the LC which established the appearance of the Lambretta for the rest of the fifties. 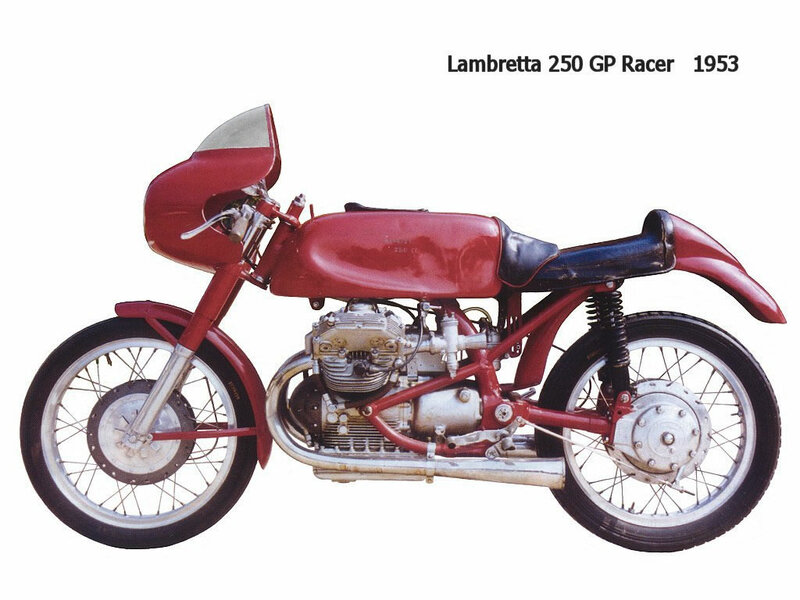 These models were replaced for the 1952 season by the D and LD variants which would evolve through three marks over the next six years. 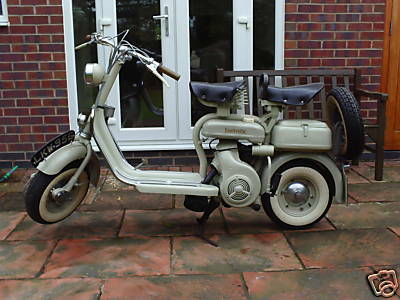 The Lambretta model 48 II moped was produced between 1959 an 1961. 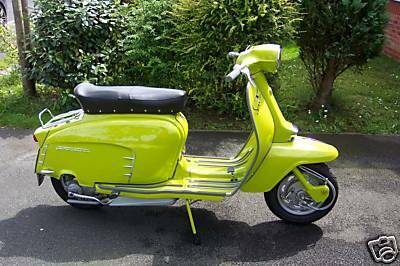 If you see one of these unusual - and delightful - little Lambretta mopeds, it will most likely be the 48 II model. 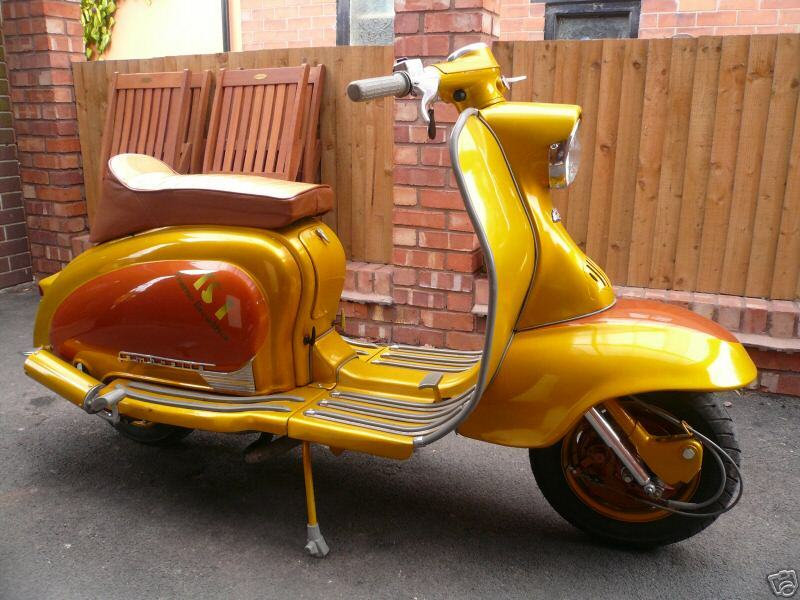 1964 Lambretta SX 200 Replica Perfect restored Lambretta SX200 Replica. 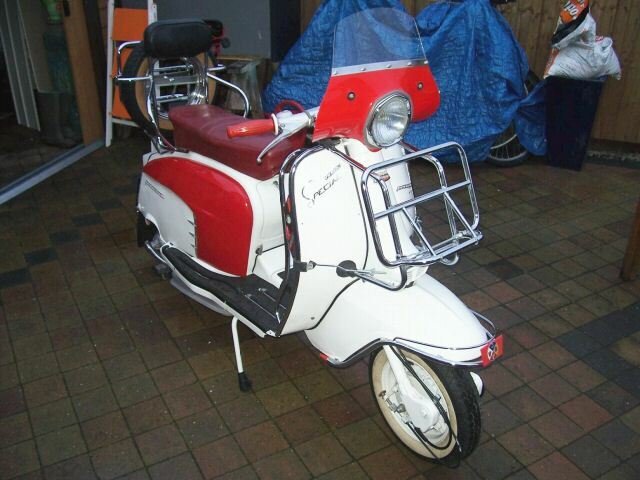 Basic LI150 with 200ccm engine, 12V CDI ignition systhem, tuning exhaust. 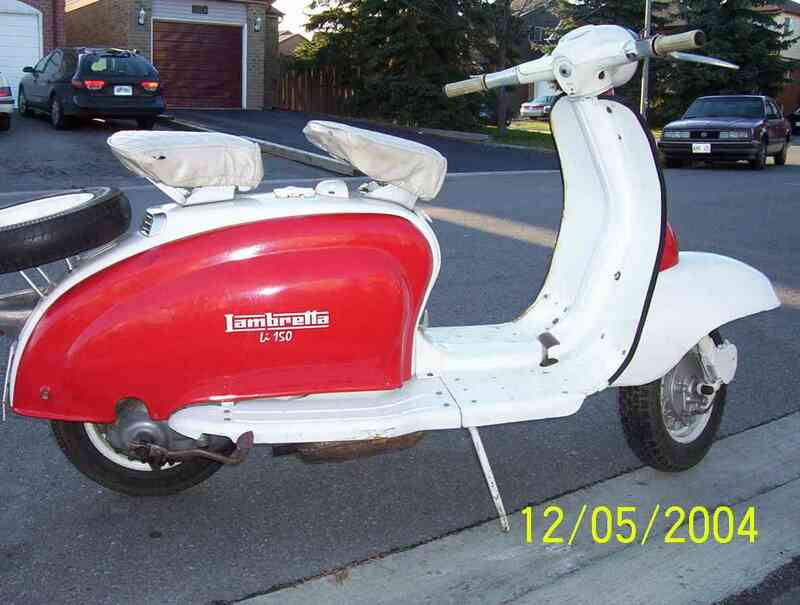 1965 Lambretta Li150 1965 series 3. 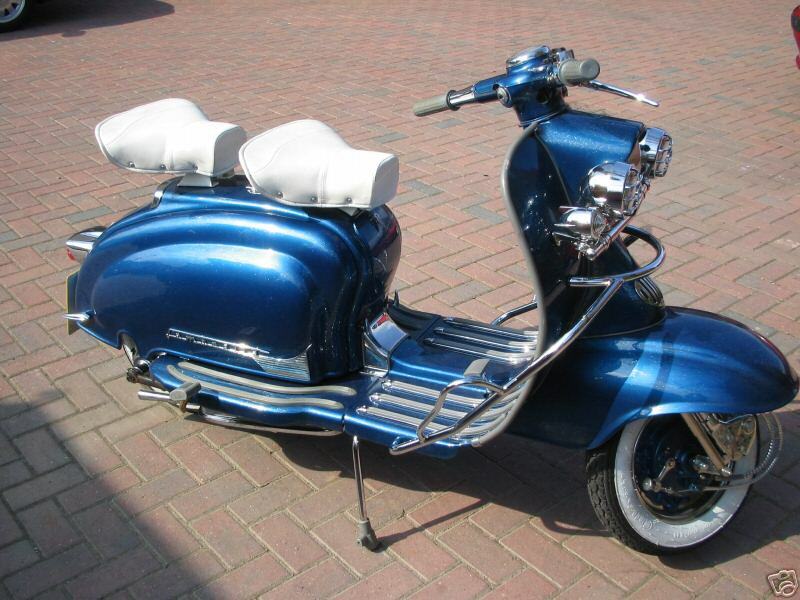 Silver and Blue with Paul Weller pictures with lots of chrome, 125cc. 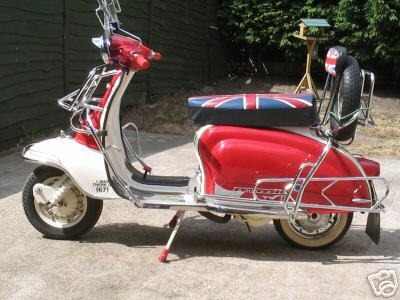 1968 Lambretta X150 Two-tone Lambretta X150 Special. 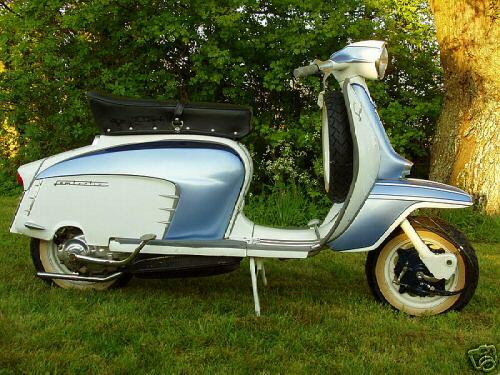 1987 Lambretta GP225 It is an Indian import and had the new engine rebuilt with Race crank, race bearings, light weight 17/46 crownwheel and five plate clutch,New KRP 4 with Carbon can.